This is a foreign exchange guide to Tuvalu, the Australian Dollar currency plus AUD transfers and travel tips. 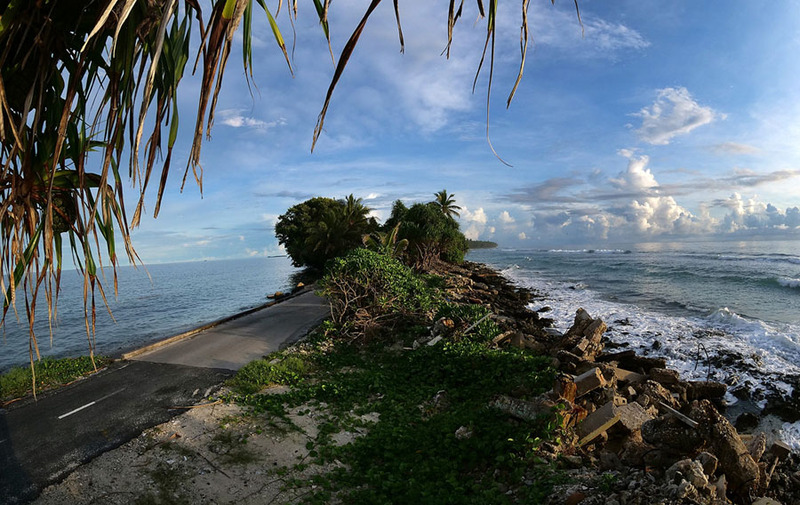 Because Tuvalu is one of those off-the-beaten-track destinations (most of your friends won’t know where it is when you say you’re going there), it can be handy to have a bit of pre-travel information up your sleeve before arriving. Tuvalu is a remote island nation in the Pacific Ocean. It’s just south of the Equator, west of the International Date Line, two hours by air north of Fiji and part of the Commonwealth. It consists of nine islands and atolls (three true islands and six coral atolls), of which the main one is Funafuti, an atoll with the country’s only airstrip. Visitors are issued with a free 30-day tourist visa on arrival, and there’s no departure tax. What currency is used in Tuvalu? The local currency of Tuvalu is the Australian dollar, with Tuvaluan coins featuring Queen Elizabeth II on one side and local marine life (turtles, octopus, flying fish) on the other. There are no ATMs and credit cards aren’t accepted anywhere, so it’s cash-only even at hotels and guesthouses. In Funafuti, the best way to get around on the main island (called Fongafale) is by motorbike – rent one for $10 a day or hitch a ride on the back of someone else’s. No one wears a helmet, and there don’t seem to be any available for rent, but people tend to ride slowly and there’s little traffic. There are no flights to Tuvalu’s outer islands; they’re accessible by passenger ferry from Funafuti, and it can be a long trip (overnight or multi-day trips aren’t uncommon). Most Tuvaluans speak English, even if they’re shy of using it, and all signs are in English. Still, it’s a good idea to learn a few words of Tuvaluan as an icebreaker, such as “talofa” (hello), “fafetai” (thank you) and “fetaui” (see you later). When searching around for information on how to get a good exchange rate when sending money to Tuvalu you need to start with finding out the latest Australian Dollar foreign-transfer exchange rate. Once your funds are received by the provider the converted AUD amount will be transfered to the recipient account you specify in Tuvalu.